Taste of Africa Dish #5 : Sauteed Chicken with Lemon, Ginger, Dried Mano and Pineapple ~ A cooking collaboration with Taste of Africa, which will help African companies connect to buyers across the U.S. in this year's Fancy Food Show in Washington, DC - July 10-12. Funded through USAID's West Africa Trade Hub and Southern Africa Global Competitiveness Hub, the Association Africa Agro-Export and other partners. I love dried fruit in any way, shape or form. Tonight's dinner pairs chicken, lemon, ginger and dried fruit for a dish that is both beautiful and full of complex flavors. 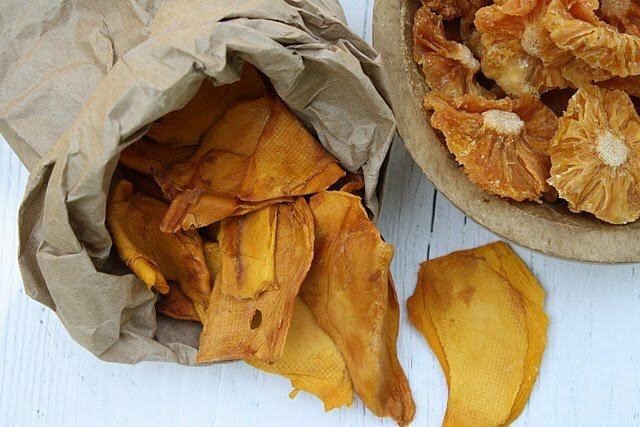 I chose to use dried mangoes and pineapple as these are two of the excellent products exported from Cameroon, but any dried fruits could easily be substituted. Should you chose to make this dish, be sure to buy sugar and preservative-free dried fruit, as the stuff that's loaded with high fructose corn syrup is not suitable for cooking. 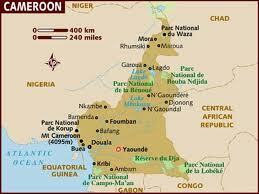 The country of Cameroon is a West African country, slightly larger in size than the state of California. Cameroon shares it's borders with Chad, Central African Republic, Congo, Gabon, Equatorial Guinea, Gulf of Guinea and Nigeria. First settled by the Pygmy, then Bantu and Sudanic people, Cameroon's history is tragically significant for having been a source of slave trade for centuries. Following a long series of brutal coups and political strife, the country finally won it's independence in the 1990's. This extremely diverse country also boasts abundant natural resources such as agriculture, mining, forestry, oil and gas reserves. Staple foods in Cameroon include cassava, yams, rice, potatoes, maize, beans, millet, onions and tomatoes. Abundant fishing provides fish as the main source of protein. Cameroon's national dish is Ndole, which is made from a very bitter leaf that is not available in any U.S. markets that I know of. The leaves require a complex and fascinating process of washing to reduce their bitter flavor. Kale or spinach could be substituted, but would surely change the taste of the dish. In a large non-stick skillet, heat oil over medium heat. Add chicken and cook for about 6 minutes per side, or until the chicken is browned. Remove chicken, season with salt and pepper to taste and set aside. Add 1/3 cup chicken stock or water to the skillet, and stir to loosen and dissolve any brown bits stuck to the pan. Stir in the dried fruit, lemon juice, ginger and thyme. Place the chicken over the fruit in the pan and baste with the sauce. Arrange the lemon slices over the chicken. Cover and cook over medium-low heat for 30 minutes, or until the chicken is no longer pink inside and the fruit is tender. Watch carefully, to avoid scorching the fruit. Remove the lemon slices and place them around the edge of a serving platter. With a slotted spoon, transfer the chicken and fruit to the platter. Add 1/3 cup chicken stock or wter to the skillet and boil for 1 minute. Taste and correct for seasoning. Pour over the chicken and serve alongside couscous. Thanks! Try and improvise with whatever dried fruits you have. But be careful to watch the cooking time carefully - the fruit caramelizes and scorches easily! Let me know when you make it! Trying to figure out what the round flower like thing is, dried pineapple? Yes, exactly - dried pineapple ... pretty aren't they? !